On May 6, 2014 a Tourism Summit, sponsored by the Hilton Head Island Bluffton Chamber of Commerce, was held in conjunction with National Tourism Week. The University of South Carolina Beaufort's Lowcountry and Resort Islands Tourism Institute faculty presented the preliminary results of the 2013-2014 Visitor Profile Study for Hilton Head Island and Bluffton. 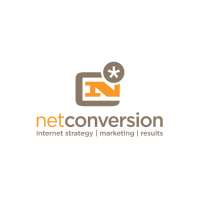 Verb Interactive and Net Conversions presented the website results for 2013 and unveiled the new look for the website coming later this year (2014).